It’s that time of the year which you look forward to! Yes, you are right, its camping time! And as always you are stumped on what all to get for camping which is stylish and cool. Things which are light in weight and help you in exploring outdoors which fulfil your motto of camping. Here below we have listed 10 camping accessories which are worth packing for your upcoming trip. Sleeping bags: After a long and fun-filled camping day, all you need is adequate rest. It is difficult to get relaxing sleep at the campsite if you are not carrying your sleeping bag. With easily accessible pockets to stock your bedtime accessories, sleeping bags provide cushioning effect so you may rest wish east. Campsite lamps: Battery powered campsite lamps are in and clunky lanterns are out. These camping gears are battery operated, light in weight and portable. 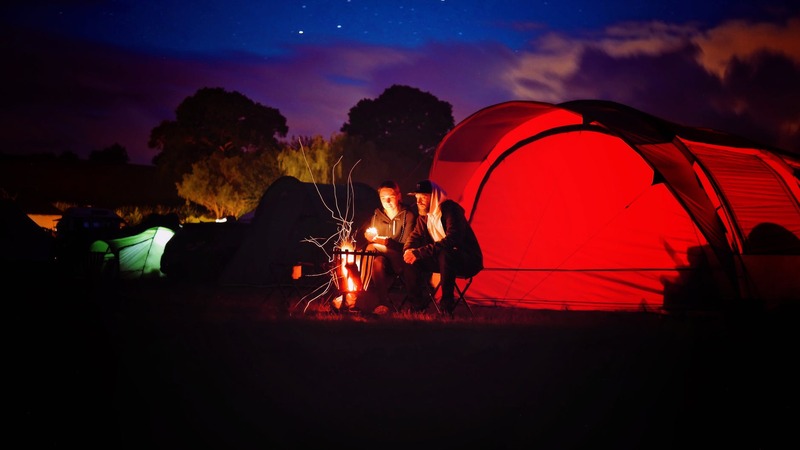 You can carry them to your campsite for a perfect night under the stars. Hammock: Hammocks are the necessity of camping as you can sleep anywhere and enjoy the surroundings. Mosquito- repellent hammocks which are very light and easy to assemble for your comfortable camping experience. Portable charger: You need a back-up charger to charge your phones and other electric equipment. It could be flashlight, speakers or anything which is necessary to keep you going! So, ensure to pack the lightest one supporting various plug-ins. Tent: You need to have a covered shelter to protect yourself from mosquitoes and bugs. You can go for a fast-pitched tent which has convenient attachments and pre-attached poles for quick assembly. They include rain cover also for extra protection. You can also put one more layer of a tarp to protect against sun and foul weather. Thermal bottles: Are you planning to carry some beer or a hot cup of mocha to get you going during your next day early morning start? Don’t forget to equip yourself with small-sized thermal bottles that can keep the content hot and cold for a considerable time. Multi-purpose mat: During your journey to the camping location, if you plan to rest for a while before you head further then camping mats can be really helpful. These mats can be spread anywhere for comfortable sitting or can act as a mattress if you sleep over them in your sleeping bag. Kettle/Cooler: Since you must be travelling in a group, kettles and coolers are of great help depending upon the weather you are in. Short in size but high on utility, carrying these will provide hot tea, coffee or chilled beer for a perfect morning! Quick-drying towels: It is difficult to bear the weight of moist towels during camping. Quick drying towel dries quickly even if the weather is a bit damp.